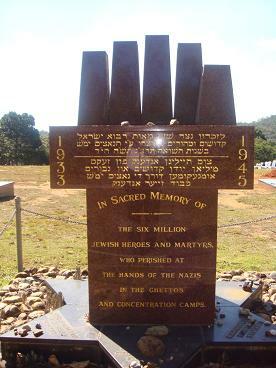 The Brisbane Chevra Kadisha is responsible for the maintenance of the Jewish Chapel and Martyr’s Memorial at the Mt Gravatt Cemetery. For more information about membership for the Brisbane Chevra Kadisha, how to locate a Jewish grave in Brisbane and if you are interested to a walking trail of the old Toowong Cemetary, please see the links on the left. 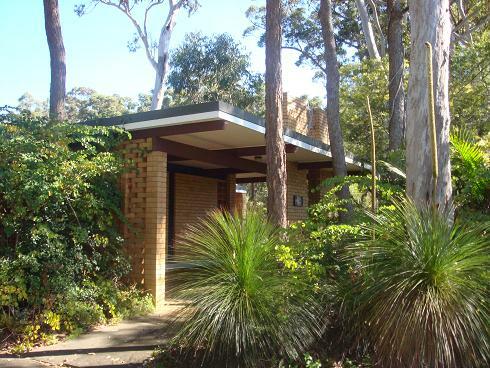 The Jewish Chapel and grounds at Mt Gravatt Cemetery were consecrated on 27 November 1966. The Chapel was built by Morris Trigger and by time of opening, total expenses were about $8,300. The metal grilles, decorative plaques and the Star of David were manufactured and donated by Berol Guralnek. Designed by Richard Werner, the metal features are memorials to the Holocaust and to the fallen in war. The Memorial was commemorated in 1969, in sacred memory of the six million Jewish heroes and martyrs who perished at the hands of the Nazi’s, in the ghettos and concentration camps, from 1933-1945. Sealed within the momument are ashes from Concentration Camp crematoria. The Martyr’s Memorial was designed by Richard Werner and was made possible by a committee chaired by Emile Halbreich. 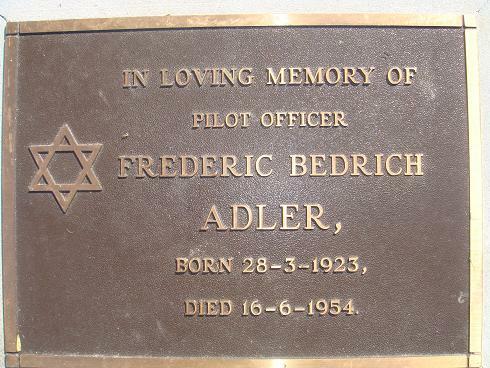 In the 1950s, Pilot Officer Frederic Adler was an Israeli Air Force Officer training at the Amberley Air Force Base on Canberra Jet Bombers. An aircraft on which he was training crashed and all on board perished. A large military funeral was held. Pilot Officer Adler’s only relative at the time was his mother who lived in Israel. She was contacted by the local Brisbane Rabbi Fabian who promised that the Queensland Jewish Ex-serviceman’s Association (QAJEX) would visit his grave every year and recite the Kaddish. Adler’s mother has passed away but QAJEX continues this Mitzvah. Kaddish is also recited over the grave of Raphael Grose, a Jewish ex-serviceman who is buried in a nearby plot. As the numbers of Jewish ex-servicemen are diminishing, the Brisbane Chevra Kadisha has assumed a greater responsibility to ensure that a Minyan is present each year. The original stone plaque become illegible, and the Brisbane Chevra Kadisha had a new bronze plaque installed.